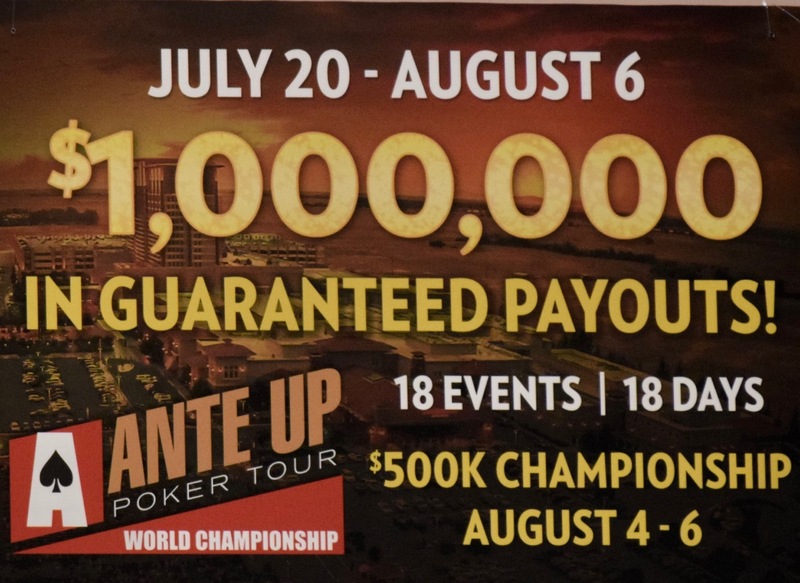 The $500,000 Guaranteed Ante Up World Championship does NOT mark the end of the 18-event tournament series. There's not one, not two, but three one-day tournaments taking place, along with the final day of the World Championship tomorrow. 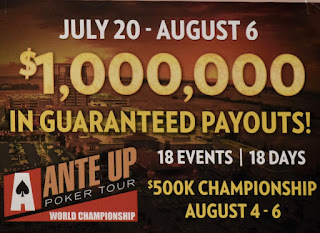 7pm is a $160 Hold'em with $50 Bounties.